Cash for cars Geelong is a part of cash 4 cars Melbourne group. Ready to clear your yard of your old vechicle? Perhaps, ready to sale your Subaru, but don’t have the time, or the investment is too costly? Call Geelong Cash for Cars and get up to $9999 on your old car removal today. 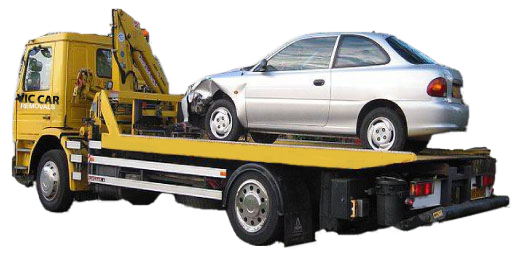 We are Melbourne’s trusted car removal company that pays cash at the time your vehicle is removed. There’s never a charge at Geelong Cash for Cars. Just cash in your pocket! Scrap Car? We Accept It! Used Truck? We Accept It! Wrecked 4×4? We Accept It! Junk Van? We Accept It! Damaged Commercial Vehicle? We Accept It! Broken Motorcycle? We Accept It! Accident Ute? We Accept It! Running or Not, We Pay CASH! Don’t pay to have your car, truck, 4×4, van, commercial vehicle, motorcycle, ute, SUV, etc. removed. No matter what the condition of your vehicle, Geelong Cash for Cars will remove your vehicle for free. When you call us, you get instant cash for your car, whether it is running or not. We specialise in scrap cars for cash all around Melbourne and Geelong. Just give us a call, and we’ll be there as soon as this afternoon with cash in our hands! Cash for Cars, Trucks, Van, 4x4s and More! As a licensed auto wrecker and trader, we are able to pay top dollar on your car removals. Our instant cash for cars starts with a phone call to obtain a free, no obligation cash offer. Vehicle owners can also complete our “Instant Cash Offer” at the top of this page. Within minutes, we’ll provide you with a cash offer. You simply accept or reject our offer. If accepted we’ll schedule a FREE car removal at a time that is convenient for you.We work all hours of the day, so any time is a good time. We are also an auto remover that works 24 hours a day, 365 days a year. This ensures our customers have convenient car removals anywhere in Geelong at anytime and day. With one call to us, an expert car appraiser will provide you with a cash offer. We pay up to $9999 on our car removals. And, our instant cash for car removals are always fast and efficient. If you need more information about the car Licences or to return the number plate please visit Vic Roads. Geelong Cash for Cars is committed to our customers and the community. Not only do we make it our standard to pay the most on each car removal in Melbourne, we make it our commitment to practice green standards.Not only are our car removals fast and efficient, they are eco-friendly. Our commitment to the community is to leave the least imprint on the environment with each car removal performed. This is why our auto wreckers recycle, reuse and resell all parts and metals to the vehicle. It is our high standards that allow us to pay our customers top dollar on our car removals. Our customers are assured, no matter what type vehicle, no matter what its age or condition, we will remove it for free and put cash in your pocket. We are dedicated to our customers and the community and guarantee optimal car removals and optimal cash! For fast and efficient car removals in Melbourne, Geelong Cash for Cars is a number 1 choice. We accept all makes and models- whether used, scrap, junk, damaged, broken, accident, rusted or any other condition, we will remove it for free. Just give us a call at the number below. You can also complete our “instant Cash Offer” form located on this page. Should you accept our top cash offer, we can schedule a free car removal as soon as a few hours from now. Get instant cash today.